Have You Scheduled a Back-to-School Appointment Yet? Across the country, students are heading back to school. That means that from here on out, your schedule is going to get busier. So why not schedule a back-to-school checkup for yourself or your son or daughter now, before that happens. With a back-to-school checkup out of the way, your family can focus on the important activities and holidays coming up over the next few months. Why are regular visits with Randolph Dental Care so important? Because they give Dr. Goldstein a chance to catch common oral health issues like gum disease, tooth decay, and more early on, before they’ve had a chance to develop. If left untreated, common problems can escalate, potentially even leading to a higher risk of health problems in the rest of the body. Gum disease in particular has been linked with other common problems, like stroke, diabetes, heart disease, and pregnancy complications. A checkup and cleaning takes just a short amount of time to complete, and the positive impact on your oral health is incalculable. Do you have questions about the benefits of regular care? Or maybe you just need to schedule a back-to-school visit with Dr. Goldstein. Regardless, call our Randolph dental office today. We serve patients from Randolph, Rockaway, Mendham, Chester, Morristown, Denville, Morris County, and all surrounding areas. 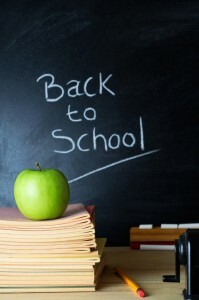 Comments Off on Have You Scheduled a Back-to-School Appointment Yet?